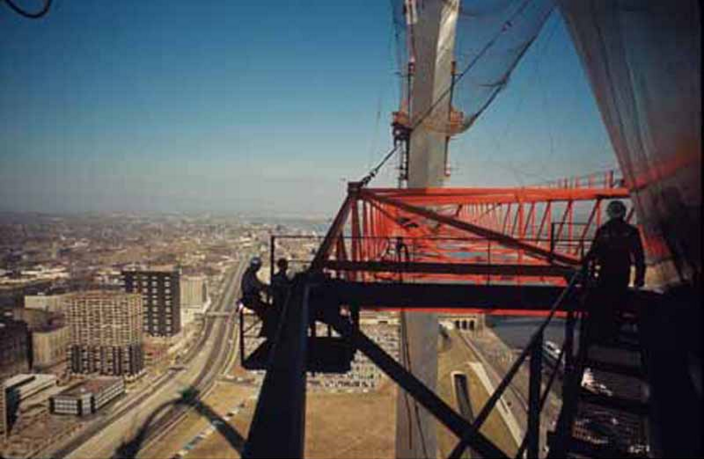 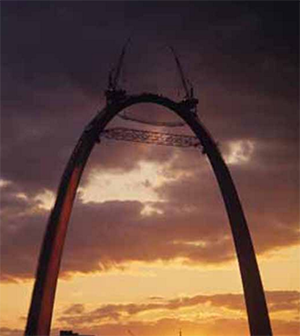 From Riverfront Times: St. Louis’ most iconic monument turns 50 today (October 28, 2015). Though it’s now impossible to picture the city’s skyline without the Gateway Arch, it is easy to take for granted what an incredible feat it was to get it standing proud and tall in the first place. 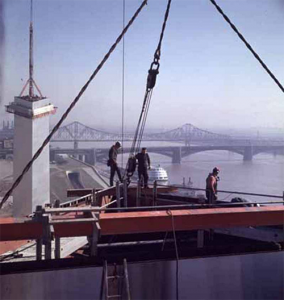 So we culled through the archives at the State Historical Society of Missouri website and came up with 50 pictures that just blew us away.